Last weekend I dragged my neighbor Fish4OSU up to JagGuy’s shoppe to see if I had a spare starter on my spare engine. Unfortunately I did not. On a whim and a suggestion we went by the local “pull-a-part” which I learned today is not part of the national chain. It is U-Pull-It, whatever. Fish4OSU needed a fan motor for his daughter’s Saturn LS-1 and a mirror. I needed a starter. I’ve been to this breakers yard many times, they seldom have any Land Rovers. But I thought what am I out, a buck…what the hell. We found lots of Saturns and the mirrors were not in that great a condition. Fish4OSU commented it must be a thing with these cars. Bad or missing passenger side mirrors. Nearly everyone had either swapped paint with something or been driven behind a truck pulling a sand blaster down I-35. While he sourced the fan I went in search of a diamond in the rough. I walked the 200 yards to the “import” section. I stopped to admire a Mercedes Benz 300SD with a diesel motor. As I walked on, I dreamed about dropping that into my Range Rover. I looked right and what did I see? YES! that was the tell-tale roof line of a Range Rover Classic. When I got up to her there was a gentleman attempting to extract the transaxle or transfer case or transmission. I’m not sure he was sure. As I looked her over I mumbled, “1993 or 1994, I wonder if there are any others”. He heard me and replied, “1994. This is the only one.” I politely told him I was going to be in the front and that I’d be right back. I went back to tell Fish4OSU I found one. He was finished and we returned to the Range Rover. The gentleman was gone and the drive train was still intact. I started on the top end retrieving parts. I got the fuel temperature sensor, the water temperature sensor, the cap from the overflow tank and the throttle position sensor (fingers crossed, say goodbye to my error 14). I went into the cab and found the EFI computer and the window ECU. I pulled them too. I was pretty happy with myself and we returned to the counter to pay. Just as I put my receipt in my wallet I looked down and noticed a starter sitting on the counter. I forgot to get the one thing I had gone there to get! I had already paid, so I told Fish4OSU to wait for me, “this will only take a second.” I got back to the Range Rover and started to work on removing the starter. The bottom bolt came off easily enough. I got lined up for the top bolt. No matter how hard I tried I could not get it out. I worked on it for at least 30 minutes before I gave up bruised, battered and covered in oily dirt. 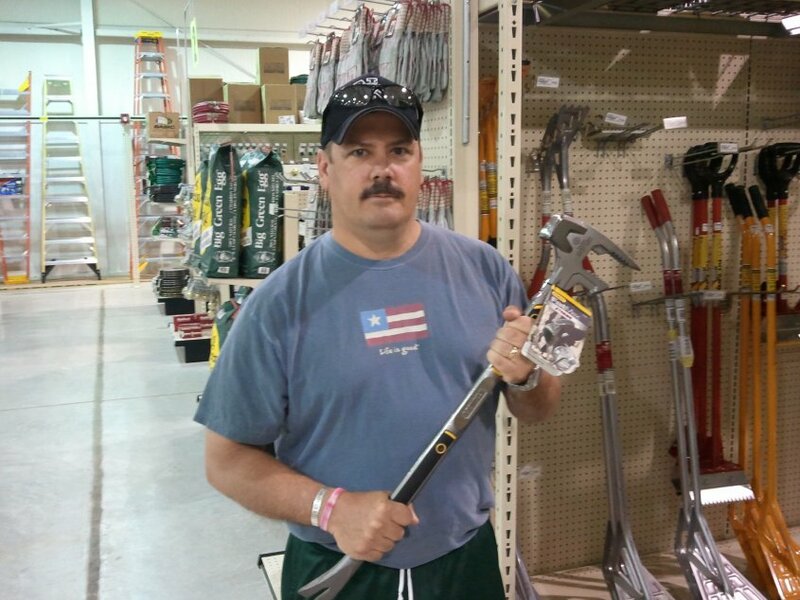 The tools we borrowed from JagGuy just weren’t quite up to snuff or I sucked using them…the jury is still deliberating. They had Sunday hours and I said I’d just grab my tools and come back tomorrow. 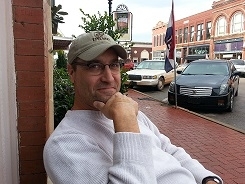 Saturday was beautiful, middle 70’s and truly pleasant outside. Sunday was the opposite of that. It was 37 degrees and a 10-15mph wind from the North blowing in low clouds. If it had been 10 degrees colder it would have been snowing. That figures doesn’t it? But it is the OkieRover way, never easy. So I got back to her and got to work. I could not break that bolt free. I’m pretty sure I tore the head up as I was unable to get any satisfaction. Frustrated I looked at the top of the motor. There was an original alternator there and an original air conditioning compressor. I thought I could use both of those things. So I went about removing them. As I cut the lines for the air conditioning compressor, they still had pressure in them! Bonus, this compressor was still working when this Rover met her demise. I grabbed a rear lens from the passenger side and both of the door handles still in the doors. My second day injuries were minimal, some light bruising and a partially crunched pinky finger. Funny thing is, I don’t bruise. I’ve fallen off the back of a van going nearly 30mph through a field and I didn’t bruise. Yeah, that’s a story for another time. How this Classic wound up in the yard I do not know. The panels were all straight. It was not a wrecked truck. It even had a cigarette lighter in it (I grabbed it too). The inside was in rough condition. Not as bad as mine but you could tell it was not well cared for by the driver. The headliner was still original. It lead me to believe the transmission or some electrics may have been its undoing. I would have liked to have had the whole body but that was not possible. 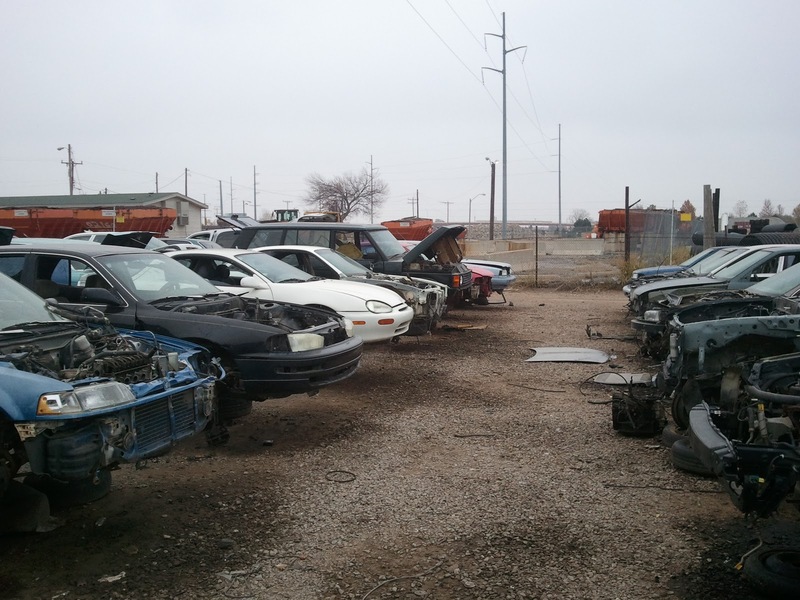 You cannot buy a Salvaged Title vehicle “intact” in Oklahoma. She was probably still Dealership maintained, looking at the parts I saw inside. All in all I made a killing. The first days parts cost me roughly 26$(US). If even one of the parts is in working condition I scored big. The second day’s parts were more pricey, 87$(US). But the air conditioning compressor costs twice that so I’m still “standing in tall cotton” as we say in Oklahoma. I am really happy I found her and was able to get some parts off her. I was sad to see her in the breaker’s yard. It just makes me realize that Classics are getting harder to come by and getting parts for them will be getting harder and harder. I guess when I can no longer get the important parts, I’ll just have to buy a Series 2a or Series 3. You can still get most of the parts for one of those from Rovers North. 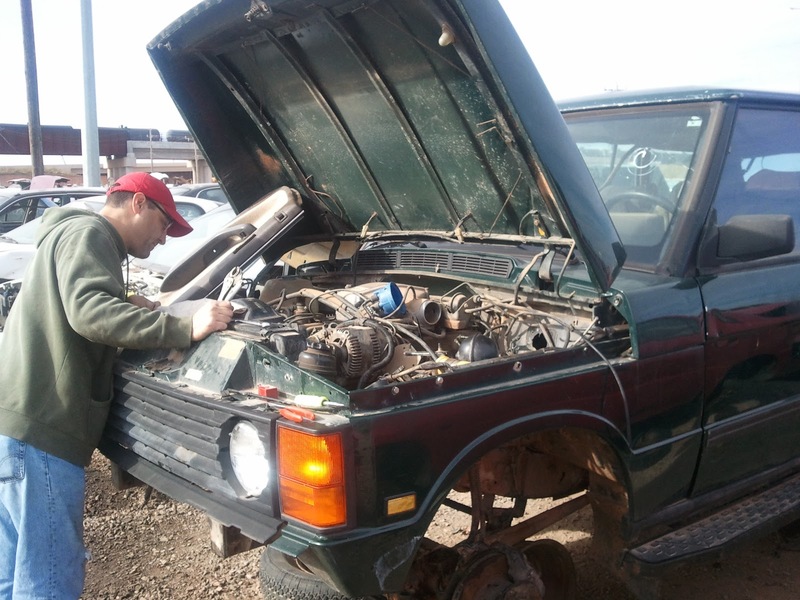 This entry was posted in air conditioning, alternator, electrical problems, Pull-a-Part, Range Rover Classic, salvage, spare parts. Bookmark the permalink.